"Your Disco - Your Way"
Required by many venues, East Yorkshire Discos has not provided satisfactory evidence of having current PLI available. Also required by many venues, East Yorkshire Discos has not provided satisfactory evidence of having current PAT records available. A Method Statement outlining East Yorkshire Discos&apos; Health & Safety procedure for setting up disco equipment has been provided. 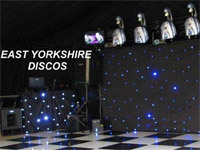 East Yorkshire Discos has provided Risk Assessments undertaken at events sourced via needadisco.com, indicating that they can undertake these competently. Why do people choose to book East Yorkshire Discos? We both found [chosen DJ] to be very friendly and helpful. His approach was professional and understanding. 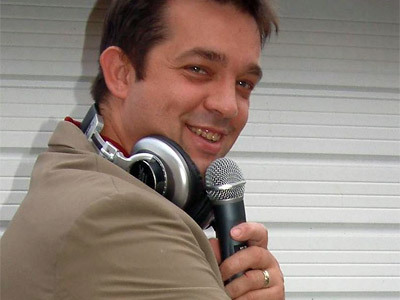 We are very grateful for this site as we were starting to worry about finding a DJ we would like. Many thanks. "dave was great and really helpful, he kept in touch and on the evening was really helpful too. He asked what we wanted doing when , helped to unwrap the food when it was time to eat and even gave my husband a lift home to drop one of the cars back . 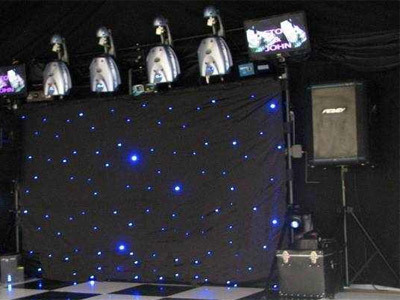 He went out of his way to help us from start to finish "
East Yorkshire Discos also offers a range of additional party services not directly linked to musical entertainment. 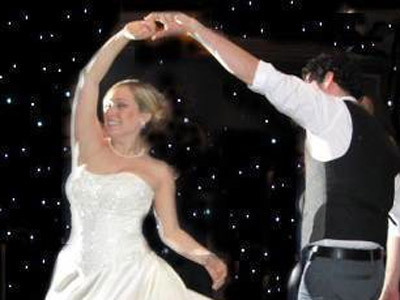 Get FREE no-obligation disco quotes from East Yorkshire Discos and other DJs covering your venue. Take 2 minutes to fill in some basic details and we'll do the rest! If you are contacting East Yorkshire Discos about an event, it's always a good idea to include the DATE, LOCATION, EVENT TYPE, AGE GROUP and TIMINGS to speed things up!